While Democrats and Republicans debate the merits and drawbacks of reforming America’s broken health insurance system, few policymakers are paying attention to perhaps the biggest reason health insurance is so expensive: The actual cost of healthcare, which insurers have to pay, is out of control. There are many reasons the cost of providing healthcare has been steadily rising in most sectors of the healthcare industry. One of the most important is that the traditional health insurance model wastes piles of cash. It pays health insurers to act as middlemen between patients and their doctors. Patients continue to use their health insurance to pay for virtually every healthcare service, including those that they could easily pay for on their own, like primary care visits, flu shots, and routine exams. Insurers’ involvement in nearly every primary care visit is causing healthcare expenses to skyrocket. Patients are being forced to pay extra so insurance companies can facilitate transactions they really don’t need to be involved in. Not only does this cause the cost of primary care services to rise, it also forces doctors to squander time filling out paperwork instead of treating patients. Some doctors choose to hire more staff to handle much of the administrative work, also contributing to the rising cost of providing primary care. Fortunately, there is a better way to provide primary care, one that offers high-quality healthcare services for much less money and without inflicting mountains of complicated insurance paperwork and government regulations on doctors. 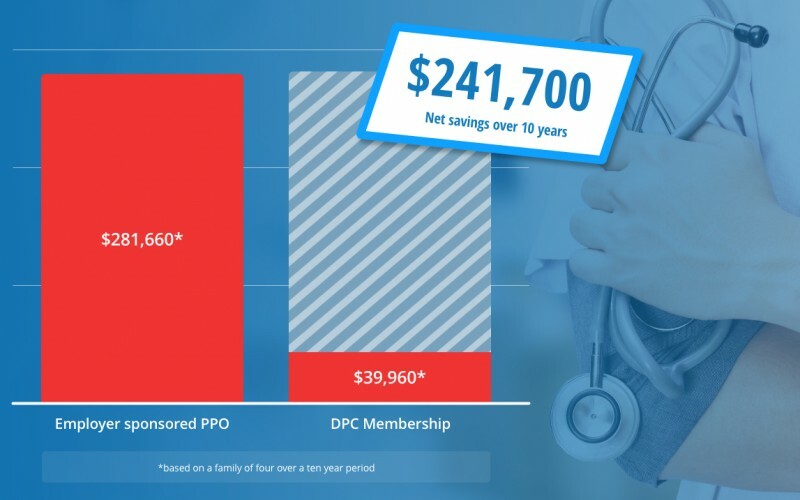 Direct primary care is a membership-based primary care model that provides patients with a set number of healthcare services in exchange for a flat monthly fee. At Epiphany Health, the direct primary care practice I founded in North Port, Fla., we charge just $65 per month for an adult membership and $25 for one child. 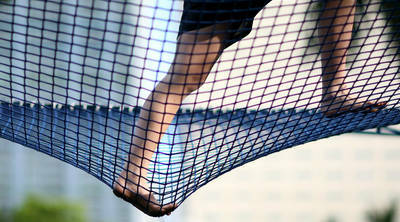 (A membership for each additional child is just $10.) A family of four pays only $155 per month. 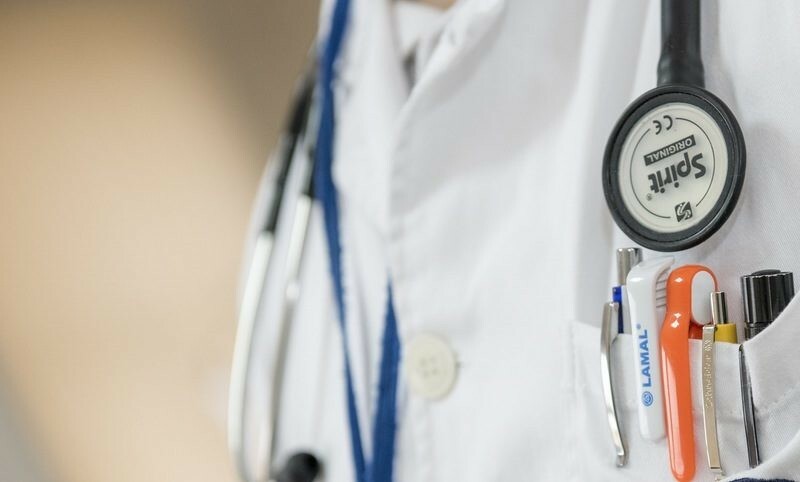 In exchange for that fee, we offer all of our members the primary care services they need most often, including physical exams, EKG testing, strep and urine testing, blood-thinner monitoring, minor surgical procedures, joint injections, and much more. Patients don’t pay a single penny more for these services beyond the cost of their membership fee. Read the full op-ed at the Washington Examiner. Everyone has a healthcare horror story. A hidden charge on the hospital bill. A last minute test or scan that ends up costing four figures. Hours spent on the phone with insurance companies to follow up on a claim and get a reimbursement. Prescriptions costing hundreds of dollars. Since 2007, the cost of healthcare has risen 21.6 percent, while all other prices in the economy have risen by just 17.3 percent, according to the Kaiser Family Foundation. It’s become an unfortunate reality for many, and it’s been rightly pushed into the arena of politics. But despite the well-intended reforms of the past two decades, including the Affordable Care Act, millions are still feeling the pinch. Why? 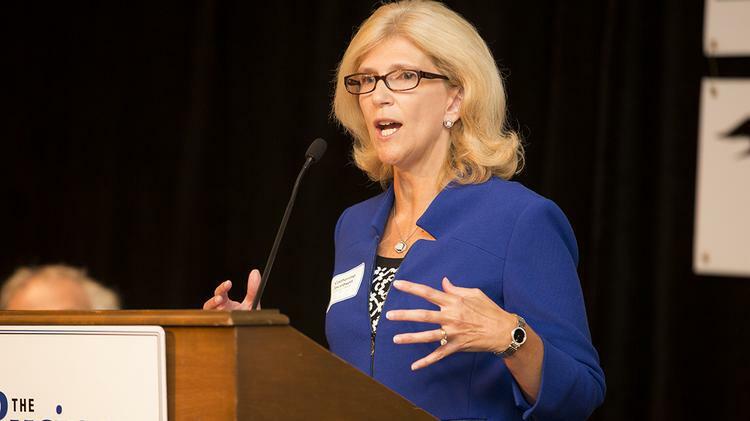 Too often, talk of healthcare reform is focused on insurance rather than care. It’s less about how the doctor treats your family and more about who foots the bill. Almost no one can get a straight answer about the price of procedures or medicines. Medical insurance, once a simple way to cover higher-than-normal expenses, has become a catch-all for almost all health spending. It’s no longer about surprise injuries and illnesses. Insurance is now used to cover every ache, pain, anxiety, pill, and more. It’s like using car insurance to cover every oil change, new windshield wiper, or tire. And in order to recoup the amount they give out, insurance companies must price their options accordingly, which leads to higher prices for consumers. That’s why healthcare expenses in 2016 amounted to 17.8 percent of GDP, higher than any other industrialized country. At least one new doctor-patient arrangement is promising a revolution in consumer choice by bypassing insurance altogether. It’s called direct primary care, and it’s catching on across the country. Rather than relying on insurance for ordinary health expenses, these new doctor clinics rely on monthly fees from patients, usually less than $100. If anything more is required during doctor visits, the prices for every service and test are transparent and don’t vary depending on your plan. By not accepting insurance of any type, each clinic saves on administrative costs and overhead, prioritizing patients over costly insurers. The results are just as intended: lower costs, more preventive care, and more face time with medical professionals. 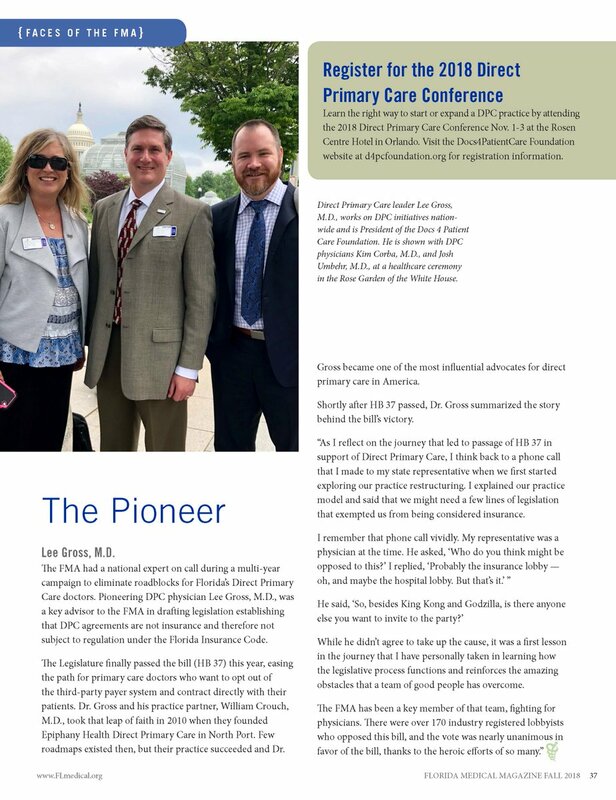 Faces of the FMA: The Pioneer Lee Gross, M.D. The frustration over health care policy at the Federal level has moved national radio host Sean Hannity to launch the national discussion with the doctor innovators on the front lines of health care. 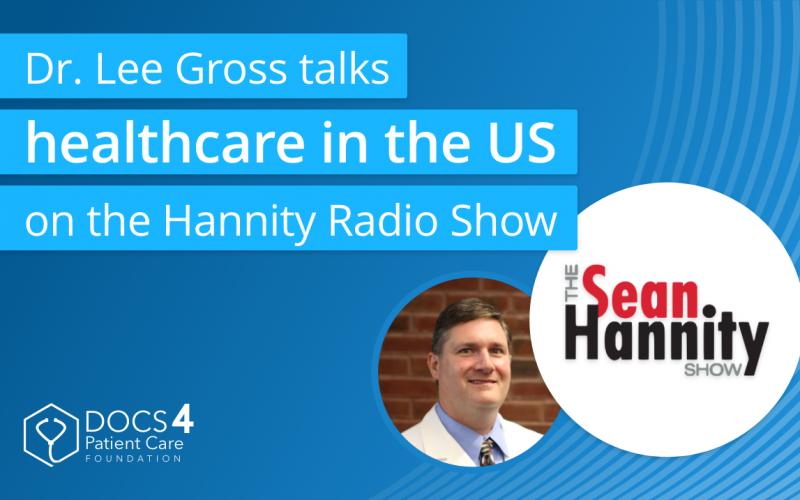 Dr. Josh Umbehr and our own Dr. Lee Gross joined Hannity on his national radio show to kick off a regular Tuesday afternoon national briefing on the impact of free market medicine. The Bergevins, who rent a snug little house near downtown Boise, Idaho, are joining a small but growing number of Americans rigging their own medical safety nets. They’re frustrated by the high costs, opaque pricing, and maddening bureaucracy of health insurance. In their quest for a different way, they’re meeting doctors like Julie Gunther who are also fed up. These physicians have opted to reject insurance, instead charging patients directly in return for more personalized care. No reliable data exist on how many people are replacing insurance with arrangements like the Bergevins’, but the trend appears to be gaining momentum. This surgeon wants to offer cheap MRIs. A state law is getting in his way. Now Singh has had enough. He filed a lawsuit Monday in North Carolina Superior Court to overturn the state law, news that he and his attorneys from the Institute for Justice shared exclusively with Vox. Singh specializes in complex liver transplants and surgeries to treat gastrointestinal cancers. He appreciates the importance of a good MRI. “Those patients need imaging. As a surgeon, we need to see what we’re going to do. We often need a lot of imaging,” he told me in a phone interview. As Vox’s Sarah Kliff reported as part of her project to collect emergency room bills, Americans can sometimes be charged as much as $24,000 if they get an MRI at a hospital’s ER. Singh is offering a substantial discount on a medical service plagued by high costs. But because his office can only offer MRIs twice a week, they must regularly turn away patients who need them — some of whom shouldn’t wait to get important medical scans. “We lose all those patients,” said Singh, who also owns his own surgery practice. Certificate-of-need laws were in vogue 40 years ago. But lawmakers quickly discovered that, in practice, they often served to protect hospitals from the competition. Forty-nine states had such a statute at one time, but in the decades since, 14 states have repealed theirs. We are pleased to report that we were successful in removing the critically flawed language that would have dramatically restricted and regulated independent DPC practice. The issue of CPT coding has been eliminated. This is still generally not a great bill, but it is no longer critically flawed. We are now in a better position and feel comfortable supporting it with the understanding that other important issues will be able to be addressed in the Senate. Thanks to an incredible team of dedicated physicians and staff that were able to pull off this big accomplishment in such a short period of time! Read the Amended Legislation HERE. 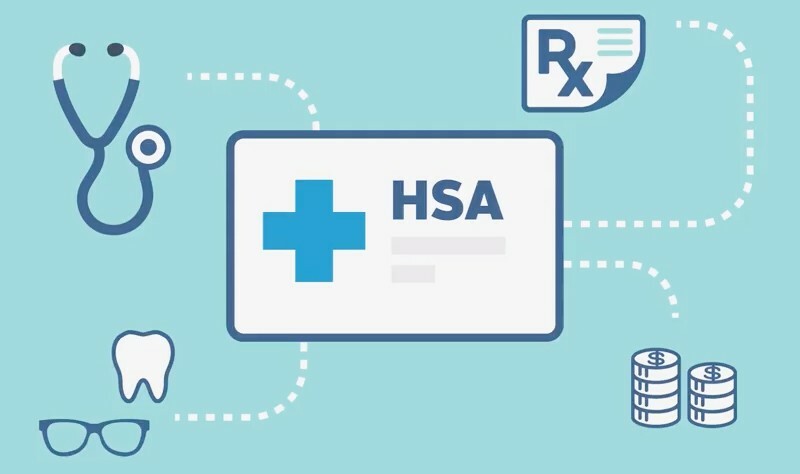 Background: Direct Primary Care is the only major medical service offered by doctors you are forbidden to pay for with YOUR Health Savings Account (HSA) dollars. The IRS in 2014 issued a lettter defining DPC as a health plan and disqualified from HSA dollars (like health insurance). HR 365 was a simple piece of legislation designed to fix the problem. Without debate, the legislation was replaced with HR 6317 in the House Ways and Means Committee and passed out of committee. 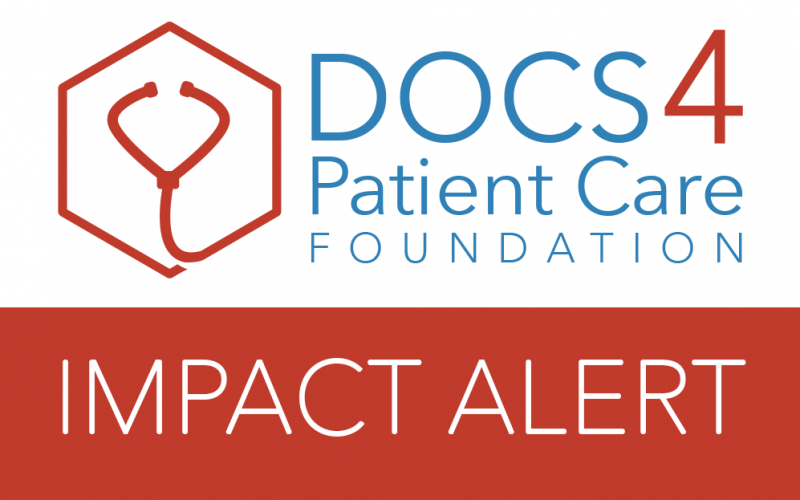 OUR analysis finds the bill creates regulatory control that is precisely what DPC doctors seek to avoid, undermining the very freedoms that have made the practice model succeed. This Bill will be hailed for finally allowing HSA dollars to be used for DPC. It is a Trojan horse bringing the worst of Obamacare to DPC. This bill creates the regulatory foundation, price fixing, and centralized control that is at the heart of the problems in American health care. Dr. Lee Gross filmed a video analysis in his weekly update from Epiphany Health well worth the time. Earlier this week we heard the good news that H.R. 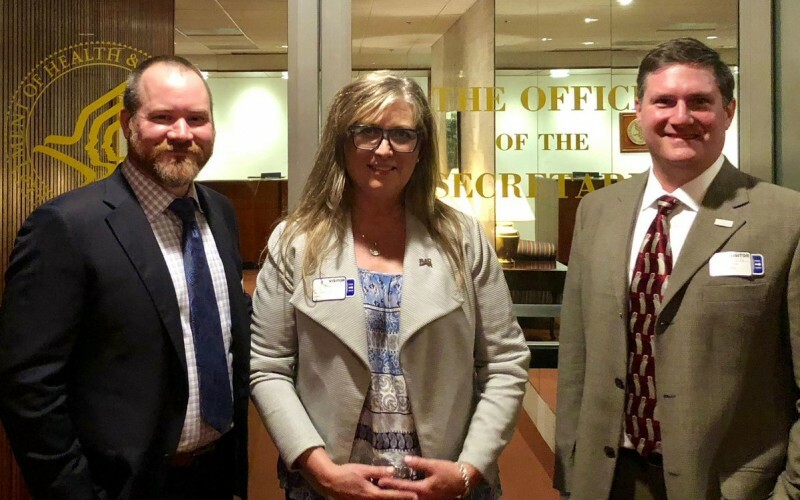 365 was finally going to be considered by the House Committee on Ways and Means, bringing the use of Health Savings Accounts (HSAs) for Direct Patient Care (DPC) one step closer to reality. Then we learned “a few small changes” had been made to the bill. Unfortunately the “few small changes” have greatly damaged the legislation. You can read a copy of the latest bill here: https://goo.gl/B6imgQ. Under the new language, DPC practices would have to comply with several federal requirements in order to become HSA-eligible. One provision limits the care provided under the agreement to specific CPT codes. Another would prohibit DPC arrangements priced over a certain threshold from being HSA-eligible. Others further limit how the pricing can be structured and what care can and cannot be included. Specialists would be blocked from offering innovative HSA-eligible monthly membership payment arrangements. You can read a full summary of the legislations status at AAPS.